ROTONDA SWEETHEART! 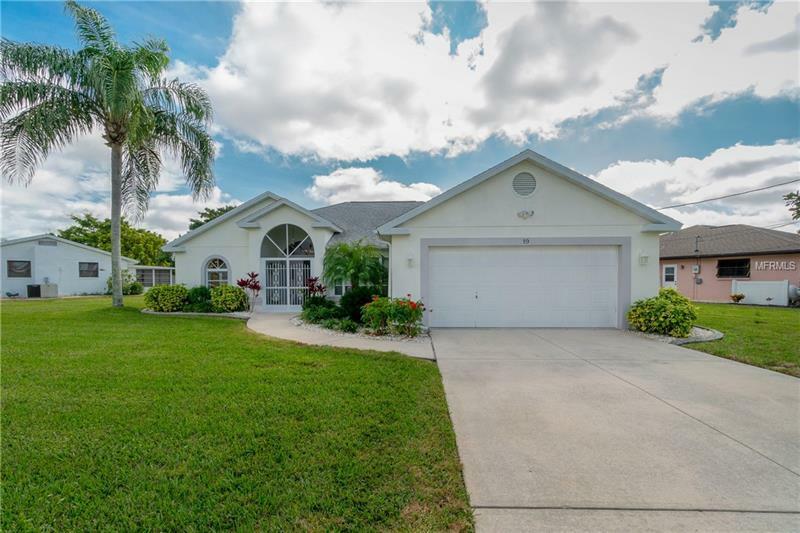 This 2 bedroom 2 bath heated pool home sits on a premium canal front lot on a quiet "horseshoe" street in the beautiful deed restricted community of Rotonda West. The wow factor starts as you enter through the double front doors with a great view of the home's open floor plan, the sparkling pool with the canal beyond. There are vaulted ceilings in the main living areas and newer porcelain tiles in the large eat-in kitchen, bathrooms and family room. The master bedroom has plantation shutters, a bump-out for spaciousness and two large walk-in closets. The master bathroom has a walk-in shower. There is a bonus room accessible off the lanai which could work as a third bedroom for overflow guests. The sliding doors off the living room pocket out of the way as do the extra set of sliders which allow you to close off the lanai should the weather turn cool. There is a retractable awning between the lanai and pool for your shade loving guests. This home can be purchased turn key furnished by separate contract should a buyer be interested. This home defines pride in ownership. Come take a look today ... you won't be disappointed.